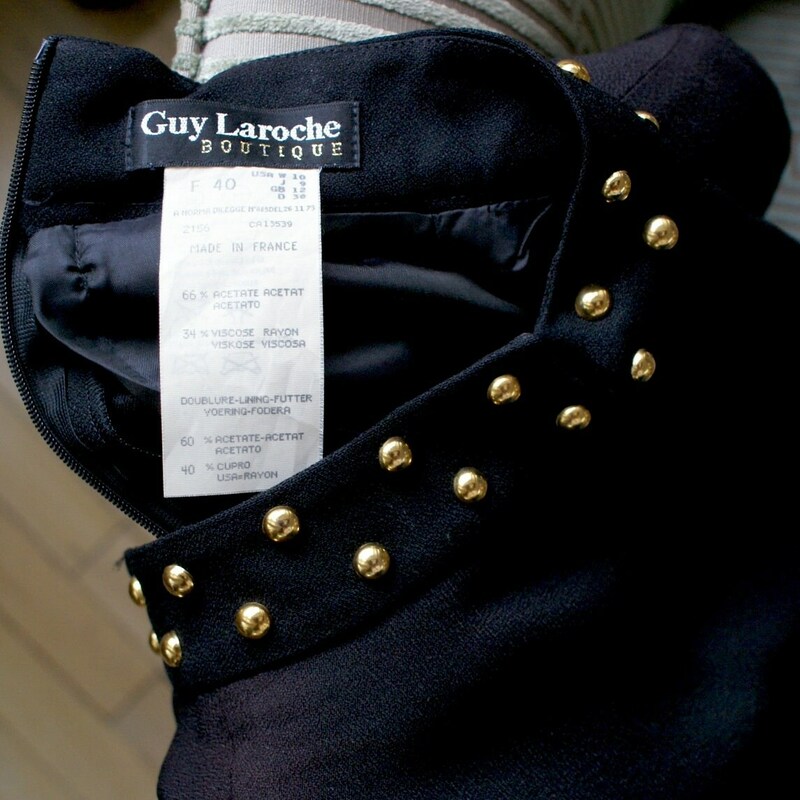 Gown Guy Laroche black embellished with studs at collar and pockets. The dress is widely split on the front and the back suggesting it looks like a combination. It closes in back with a zipper. Size 40 french.